Business Events in the South: Mashabim Country Lodging is the perfect venue for seminars, company trips, and business events in the desert. The complex offers 4 conference halls, the largest of which can accommodate 100 people. In addition, the large, landscaped lawns around the complex are also suitable for many occasions. Events at Mashabim may be held for a single day, or combined with overnight accommodation. Breakfast, lunch, and dinner are available, with an option to include additional light meals, such as coffee and cake/fruits/pastries/etc. Private Events in the South: Mashabim is an excellent choice for holding private events, such as Shabbatot Chatan, large family vacations, and so on. 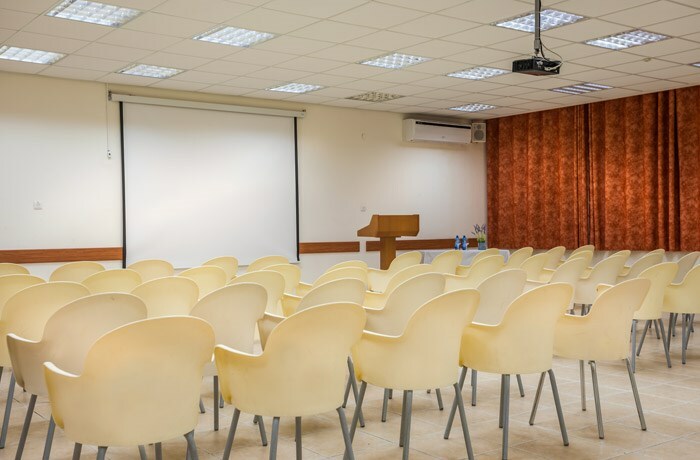 In addition to the conference rooms, attendees are welcome to use the on-site facilities, including tables and chairs, the swimming pool, and public areas. Meals are served in the dining room (including a choice between breakfast and Seudat Shlishit on Shabbat), and must be arranged in advance. One of the conference halls can also be reserved for use as a private synagogue.